Miriam's life is a hot mess. Ben won’t let her go and she knows she can’t take anymore. She simply will not and cannot withstand another insult, another drunken rage, another blow. But she has nowhere to go, no one to help her. As things between Miriam and Jack heat up, so does Ben’s jealous rage, as well as the mysterious fire that seems to burn hotter and hotter inside Miriam. 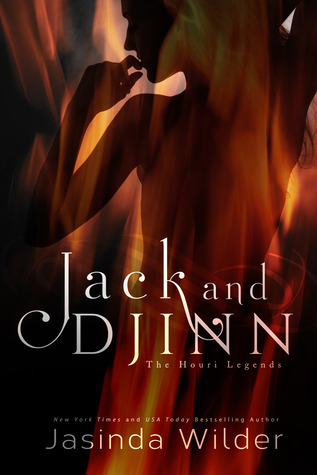 She quickly discovers two things: one, that she has a lot more power and strength hidden within herself than she’d ever imagined, and two, that Jack's gentle, unwavering love can heal a lifetime of wounds and scars. I couldn’t really get into this story. Although it kept me interested I think I was looking for something a bit more. I think the whole insta love thing happened way to fast even if it was sweet. And Jack was a good guy who helped Miriam out. Miriam was a decent character but she just took a lot of time really get to be a character that I’d actually like ( which I liked her most at the end) I just couldn’t really relate to the characters. They were kind of blah. That being said I did like how it was written. We start off from the point of view of a detective investigating a mysterious murder. We get bounced to the past and hit things from Miriam’s P.O.V and back to the past P.O.V of the detectives at the end they come together. I found it interesting how Miriam found out who she was and how powerful she actually is. Also how her powers manifested was rather interesting. I think I’d play this off as one of those “its the beginning of the series issues”. Where I might not care for the book but I still find the story and characters just intriguing enough to read the next ( especially when I got to the end of the book). An okay paranormal murder mystery with romance.